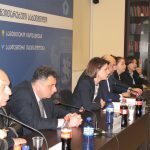 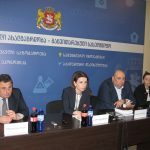 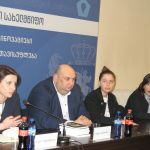 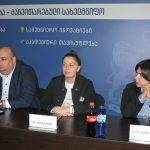 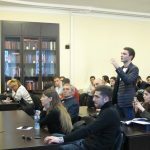 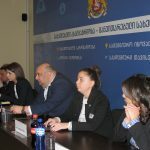 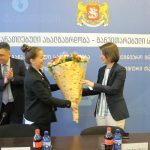 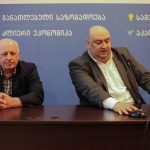 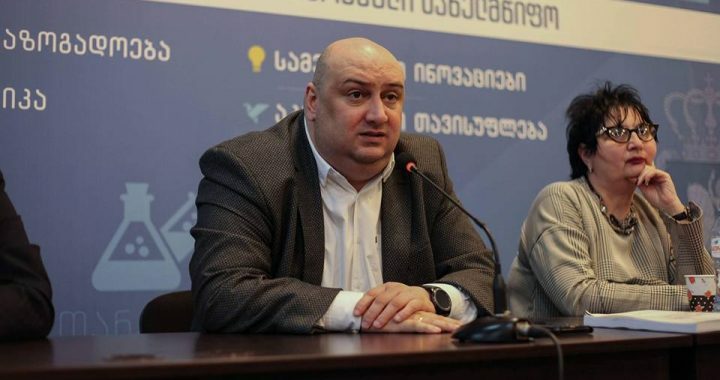 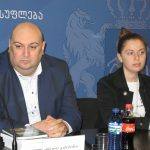 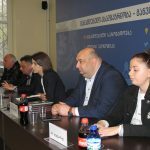 On April 3, 2018, the Faculty of Law and International Relations of Georgian Technical University organized the first Deputy Chairman of the Parliament of Georgia Tamar Chugoshvili with the students and professors in the GTU central library. 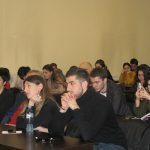 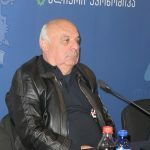 The meeting was opened by the Rector of Georgian Technical University, academician Archil Prangishvili, who thanked Ms. Tamar Chugoshvili for the visit. 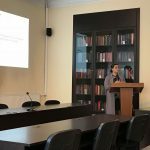 The Rector of GTU spoke about the scientific research activities of the University and highlighted the results of the Faculty of Law and International Relations and the trends developed by the Faculty of new fields, such as: Engineering Law, Investigation Law, Transport Law, etc. 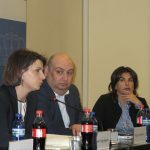 GTU Speaker Prof. Jemal Gakhokidze, GTU Chancellor, Professor Keti Kokrashvili, Dean of Faculty of Law and International Relations Prof. Irakli Gabisonia, Faculty Manager Ana Putkaradze, Professors and Students attended the event. 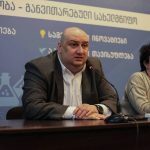 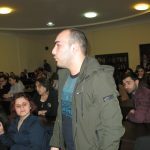 First Deputy Chairman of the Parliament Tamar Chugoshvili held a public lecture on students’ topical issues. 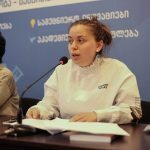 Focusing on the activities of the Parliament, in particular the supervisory function and determination of the main directions of the policy. 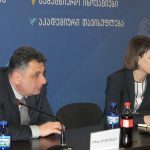 The Vice Speaker underlined the necessity of cooperation between the Georgian Technical University and the Parliament of Georgia, she said, “The Parliament is strengthening when it cooperates with the research centers of University , because all the laws passed by the parliament should be based on strong research activities and close cooperation with universities. 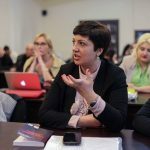 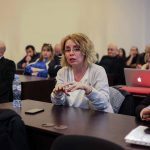 Tamar Chugoshvili responded to students’ questions: gender quotation, electoral system, number of MPs, pension system and others. 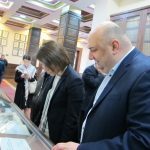 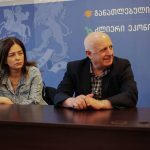 Prof. Irakli Gabisonia, the Dean of the Faculty of Law and International Relations, presented the textbooks issued by the faculty scientific-research projects to Tamar Chugoshvili. 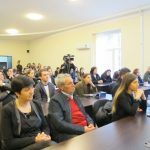 On April 14, 2018, the first Student Conference on “Actual Issues of Public Law” was organized by GTU, Department of Public Law, Faculty of Law and International Relations. 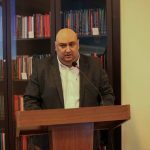 The conference was opened and the guests were welcomed by Irakli Gabisonia, Dean of Faculty of Law and International Relations, who wished success to the speakers and thanked the participants for the conference. 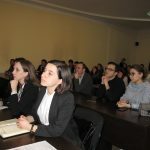 At the first stage of conference, 65 works were presented, out of which 16 were selected after the 2-step selection. 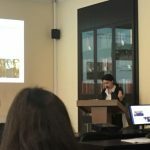 On April 14, these works were presented as presentations. 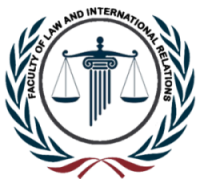 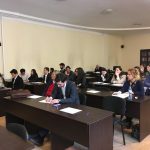 Students’ papers concerned topical issues of international, constitutional and administrative law. 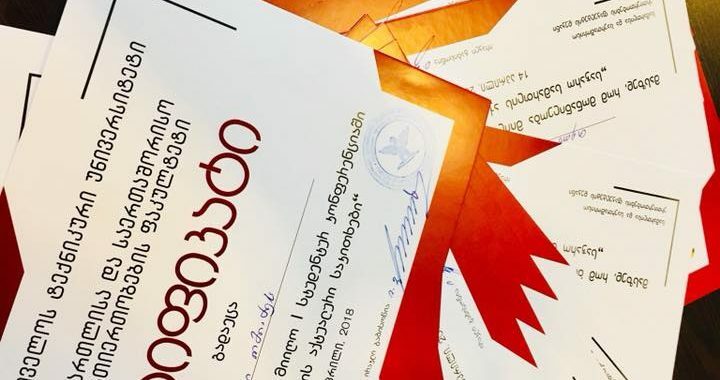 Including the law of education, the law of justice, the right to express, the election quotas and gender equality, the standards of the European Court of Justice, the Russian-Georgian war and other issues. 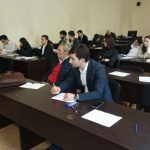 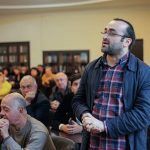 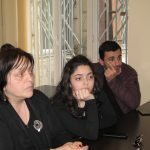 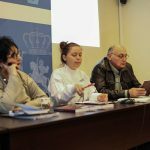 The corresponding Conference Commission evaluated students’ works and founded five best topics, including GTU, TSU and IBS students: Borena Kurashvili, Onise Adamia, Givi Kakushadze and Lika Krijashvili, Irakli Buturishvili and Nana Shamatava, Nugzar Grigalashvili and Mariam Kutaladze. The conference was summarized by Professor Irakli Gabisonia, Dean of the Faculty of GTU and International Relations, thanked the Commission for the work and the rapporteurs on presenting such interesting topics. 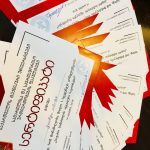 Professor Mariam Jikia, Head of the Department Public Law at the faculty of Law and International Relations, awarded certificates to the conference participants and a collection of conference papers financed by the Faculty of Law and International Relations. 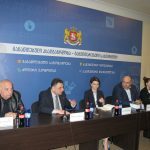 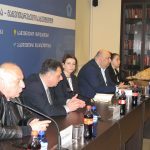 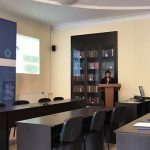 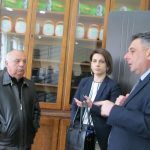 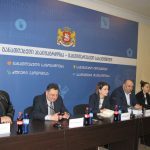 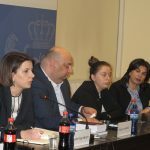 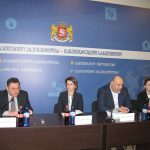 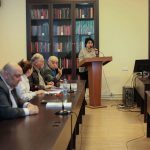 On April 13, 2018, the Central Library of the Georgian Technical University held a meeting of the Extended Council of the Faculty of Law and International Relations, which was chaired by Prof. Irakli Gabisonia, Faculty Dean. 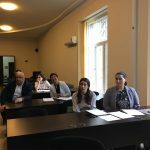 As he noted, “research projects on the faculty are undertaken, several projects have already been completed, including” Domestic Violence Problems in Georgia “, Project Director was Professor Maia Kipiani, Project members: Prof. Irakli Gabisonia and Tsiala Gloveli Provision: Marina Chkartishvili and David Samarghanishvili. 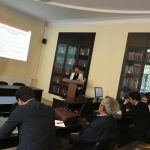 The project was implemented within one year from March 1, 2017 to March 1, 2018. 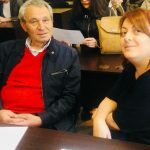 Irakli Gabisonia, the Dean of the Faculty, handed over to the Project Director Professor Maia Kipiani to present the project report. 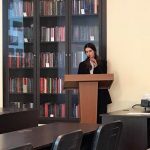 Professor Maia Kipiani presented the presentation of the project, saying that “domestic violence issue is one of the most important issues in the modern world and needs to study the causes of the causes.” Within the framework of the project, complex scientific research, search and processing of the necessary materials, creation and publishing of the guidebook “Domestic Violence in Georgia” was carried out. 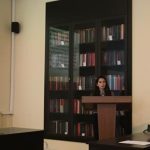 Also, conducting the International Scientific Conference “World and Gender”, where 72 researchers took part, both from Georgia and abroad. 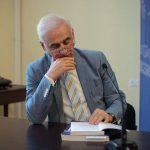 The collection of conference works was published in which 45 scientific articles were published. 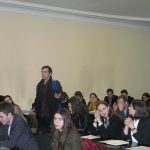 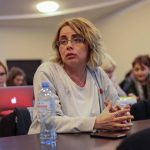 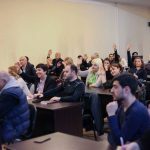 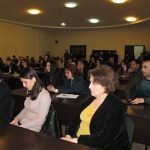 Besides scientific work, other activities were also carried out to raise awareness: Student workshops on “Gender and World” and “Discrimination” were awarded with certificates; GYLA’s representative delivered a lecture on the topic “Femicide”; Winter school “Basic human rights and challenges of the XXI century” was held in Bakuriani. 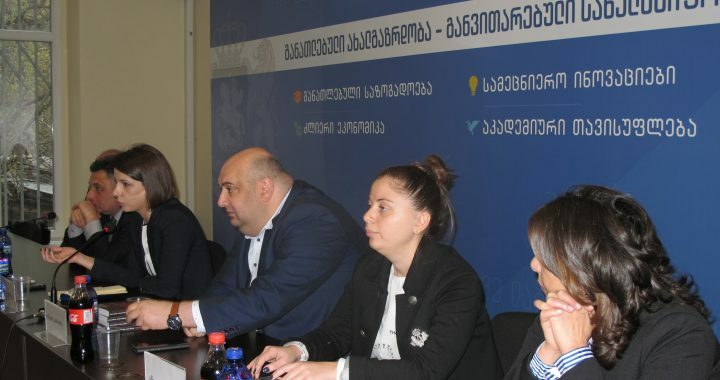 At the meeting a special interest was expressed in the “Guidelines for Domestic Violence in Georgia” discussion: The acute discussion on the work was held. 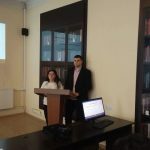 The professors appreciated the majority of the votes represented by the research, positively evaluated the research carried out within the project and the authors wished to carry out further activities in this direction.